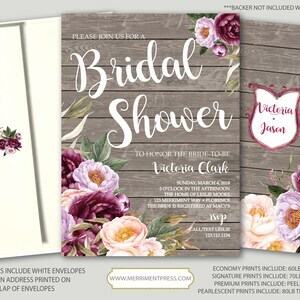 Please note that all invitations and items in this shop are professionally printed digitally. Any gold glitter or gold foil is not real gold foil but rather a high resolution image that prints to look like the real thing! 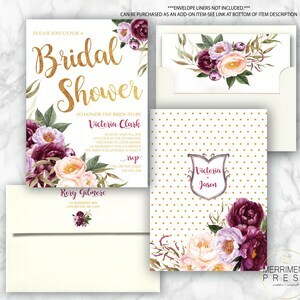 ***NEW*** MATCHING RETURN ADDRESS PRINTING ON BACK FLAP OF ENVELOPE INCLUDED WITH ALL PRINT ORDERS AT NO EXTRA CHARGE!! 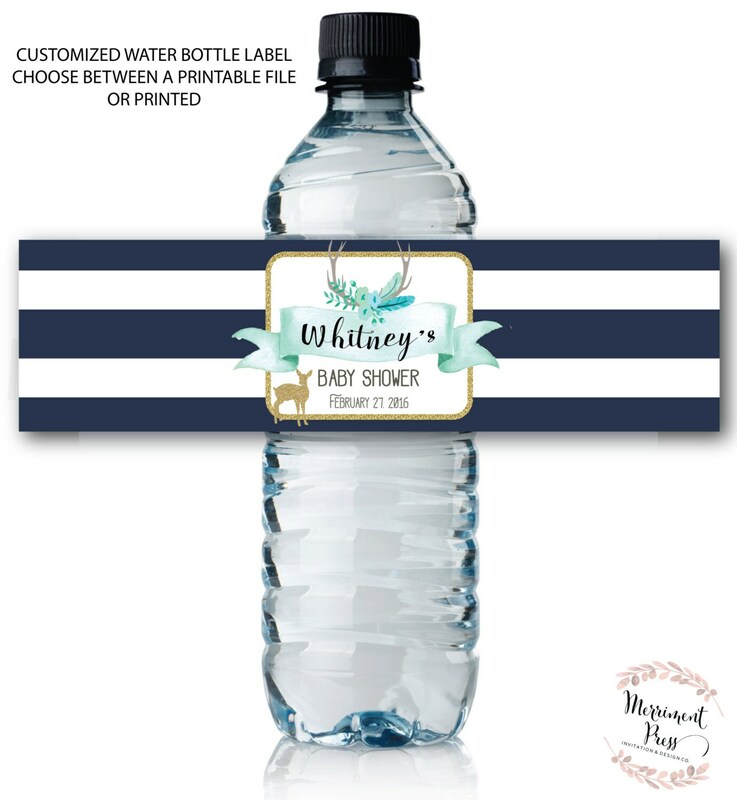 Water bottle labels customized for any occassion. 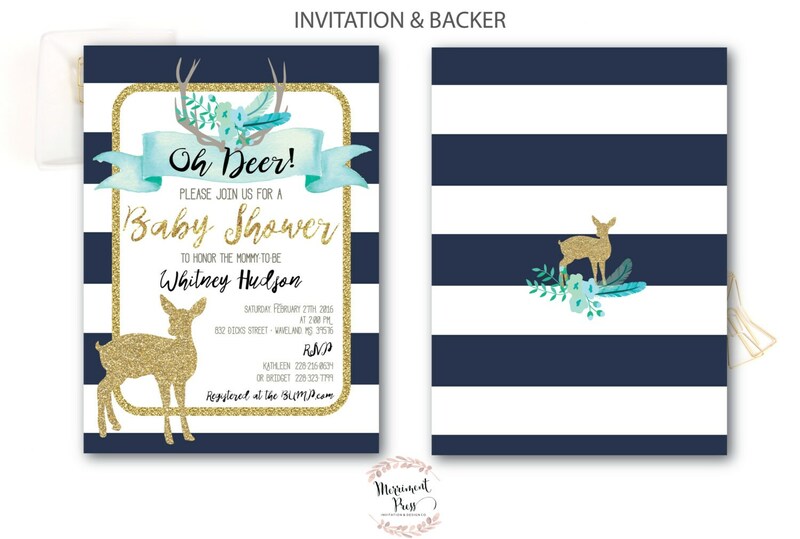 Features a silhouette of baby deer fawn against a striped navy background. 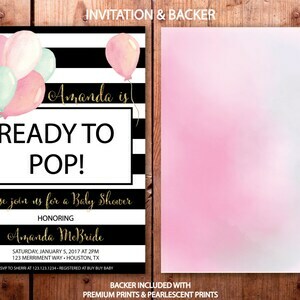 This fresh, elegant and oh so pretty design is made to match our OXFORD baby shower invitation. 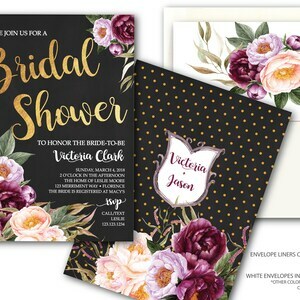 To search for matching items to this invitation, search our shop using the collection name "OXFORD". These came out great, exactly as the they looked in the proof, and they're very easy to stick on the bottles. These work best for full-size bottles vs the minis.